LiveZilla Live Support Software featuring Live Chats, Real Time Visitor Monitoring, Online Customer Support, Ticket System, WebCam Chats and Operator to Operator Chats. Use LiveZilla to provide Live Chats and monitor your website visitors in real-time. 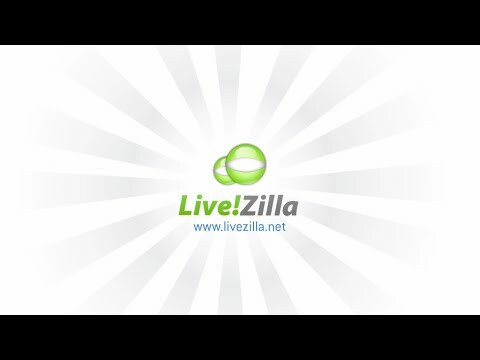 LiveZilla GmbH was founded in June 2009.LiveZilla Live Support Software featuring Live Chats, Real Time Visitor Monitoring, Online Customer Support, Ticket System, WebCam Chats and Operator to Operator Chats. Use LiveZilla to provide Live Chats and monitor your website visitors in real-time. Easy-to-use, Flexible and Powerful Helpdesk Software LiveZilla, the Next Generation Live Help and Live Support System connects you to your website visitors. Use LiveZilla to provide Live Chats and monitor your website visitors in real-time. Turn visitors into customers - with LiveZilla! LiveZilla is the perfect contact platform, even when you are offline. Using a customizable online web form, your website visitors can leave you a message whenever they need your help or want to get in touch with you. LiveZilla will streamline your customer service and improve customer support efficiency by providing your staff with the tools needed to provide effective support.